The arrival of netbooks has paved the way for cheaper portable computers, but who knew that netbooks can get really inexpensive? This is what Cherrypal recently introduced: A 99-dollar netbook. 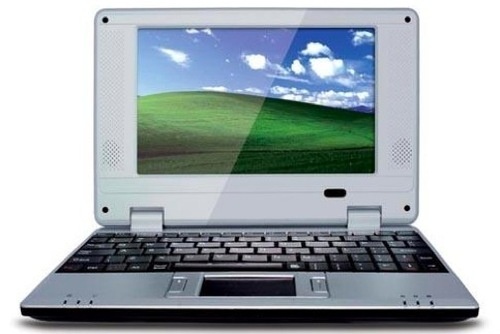 The 7-inch Cherrypal Africa netbook contains a 400Mhz ARM processor, 256MB of RAM, 2GB of flash memory, and is designed to run on Windows CE or Linux. It enables users to do what they normally do on netbooks, from browsing the Internet to creating new word processing documents. Why the dirt cheap price? The Cherrypal Africa consists of budget-priced components, which is the company’s way of "closing the digital divide" between developed nations and developing countries. Meanwhile, the Africa model name refers to the company’s charitable collaborations with the Paajaf Foundation in Ghana. The Cherrypal Africa is now available on its official website for only US$99. Yes, we would like to repeat the price just in case you are still in a state of shock.